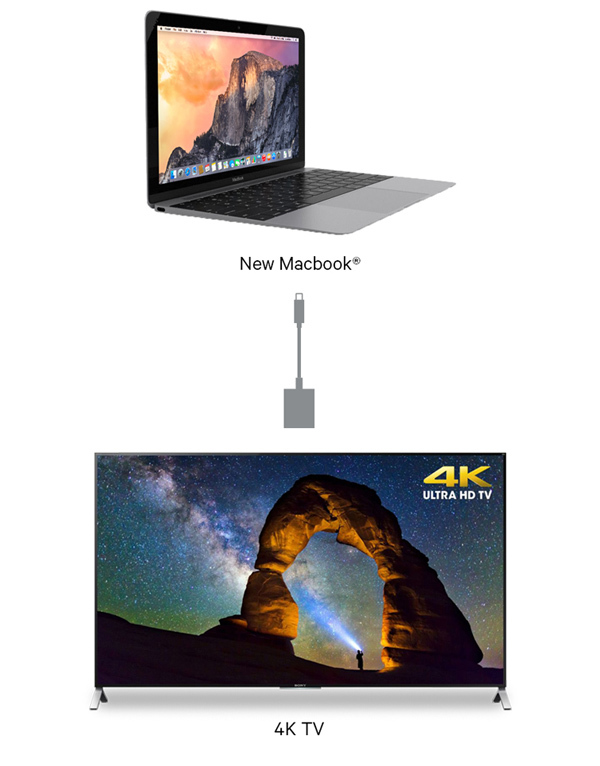 The Kanex USB-C™ to DisplayPort Adapter lets you expand your new MacBook’s screen onto a DisplayPort supported display, computer monitor or projector. The USB-C to DisplayPort Adapter with 4K Support lets you expand your New MacBook’s screen onto a 4K HDTV or HD display equipped with DisplayPort. View your favorite movies, TV shows and even your photo collection in full HD. Setup is easy. Simply plug a DisplayPort cable* from your HDTV to the Kanex USB-C to DisplayPort Adapter with 4K Support. Next, connect the USB-C to your New MacBook. The adapter is compact and easily stores away for travel. Also ideal for entertainment rooms, home office, education, and conference rooms. *DisplayPort cable not included . Display your files on your DisplayPort equipped HDTV or HD projector with the USB-C Adapter. Watch the latest movies and TV shows on Hulu, Netflix, or iTunes. You can even share your favorite photos and videos with your friends and family. Thunderbolt™ 3 is the USB-C that does it all. For the first time, one computer port connects to any Thunderbolt, USB, or DisplayPort device.